For historical authors who incorporate suspense and intrigue into their plots, the "strategic marriage" concept opens up the potential for all sorts of emotional conflict and plot twists. 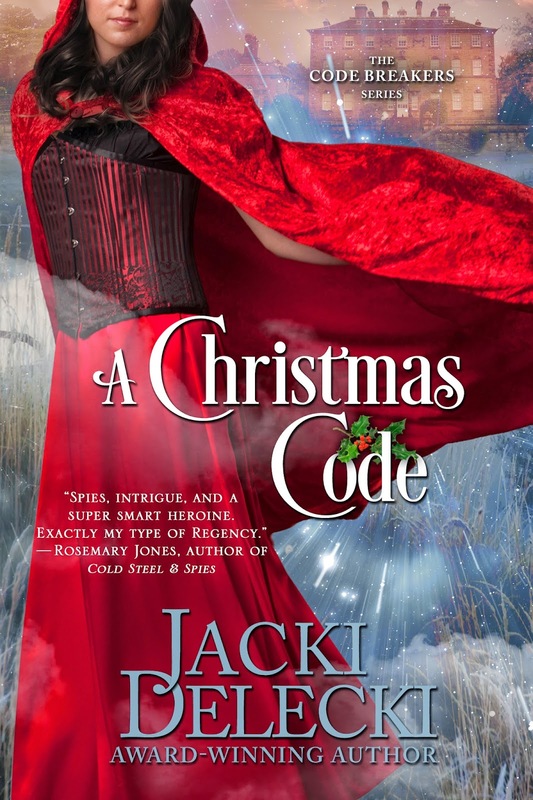 My series, the Code Breakers, is set in Regency England, and I've had great fun with this angle. During this time period, British and French aristocrats were all were connected by marriages and alliances, and the division of classes also meant they socialized together. This makes a great area for creative license to develop spies who are conflicted over family loyalties vs. country loyalties. And it also makes for excellent double agents which I did in A Code of Love, Book 1 in the Code Breakers Series. In A Christmas Code, the romance is derived from the familiarity within the closed aristocratic society. Gwyneth is in love with her brother's best friend. She has grown up with him and now is in constant contact in the small social circle of the Ton. Hot and breathless from performing the newly imported French dance steps of the quadrille, Gwyneth paused during the break in the music. She fanned her heated cheeks repeatedly, attempting to cool herself. Lord Henley glanced down at her. His lips were tight, his eyes dark with need. She had seen the same look on the faces of many men, but never on the face of the only man who mattered. She wanted to see the same burning desire and possessiveness in the eyes of her childhood infatuation as she knew blazed in her eyes when she looked at the impossible but dazzling Viscount Ashworth. The gentleman, newly arrived, had barely glanced at her despite the new gown made especially to entice the hard-headed rake. Her friend and dress designer, Amelia, obsessed with the simplicity of Greek togas, had crisscrossed sky blue silk across Gwyneth’s ample chest with a dramatic décolletage. The back of the gown was draped in the same manner with a revealing V. It was a simple design, but sensual in the way the fabric clung to her body. She felt alluring and hopeful that tonight Ash would finally throw off all the restraints. She had felt his eyes on her back, knowing he watched her as she gaily danced the intricate pattern she had recently learned from her French dance master. Lord Henley’s eyes clouded with emotion. Gwyneth couldn’t refuse the dance, but she needed to escape the gentleman before he embarrassed himself. She wanted to spare him the pain of rejection. After five marriage proposals this season, she had become somewhat of an expert in recognizing the signs of imminent declaration. “Thank you, sir, for the dance.” Gwyneth did a brief curtsy. Lord Henley bowed. “It was my pleasure.” He hesitated, then sharply nodded his head. She didn’t want to be unkind, but there was no reason to pretend interest and encourage hope when there was none. They watched Lord Henley circle to the other side of the room. It is great to be on the wonderful Just Romantic Suspense. And thanks for sharing my excitement over A Christmas Code.